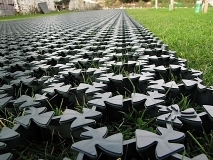 HFS Ground Reinforcement offers a revolutionary tile system made of 100% recycled plastic to reinforce ground surfaces. With a weight bearing capacity of up to 400 tonnes per square metre the tough grids can be laid above or below the ground level and then filled with either decorative aggregate or top soil and then seeded. Offered as either a temporary or permanent solution, the interlocking tiles are specifically designed to give a firm surface that will not sink, rut or shift once installed. If you have a flat & free draining grassed area, the HFS Ground Reinforcement Park range can be inverted and pressed into existing grass without the conventional dig-out and build-up of a sub-base. 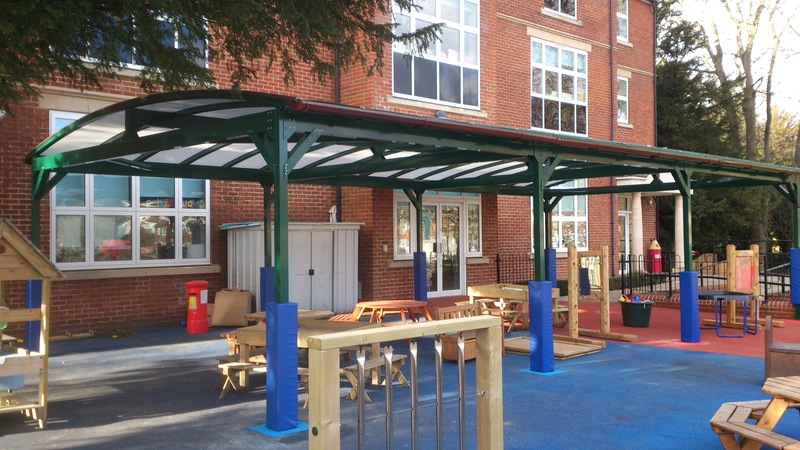 This allows the ground to be reinforced without the expense of a full installation. Manufactured from 100% recycled LDPE which doesn’t become brittle when exposed to freezing temperatures. 5 paver options to cover all ground reinforcement applications from footpaths, parking, through to HGV trafficking. Large quantities stocked with a turnaround of 2-5 days. Water drains to the water table where it falls thus relieving pressure on the drainage infrastructure. Water permeates through a non-woven geotextile placed below the grid, acting as a separating layer.